Warm autumn and winter sweaters have charm. Therefore, when they come out of fashion or have us get bored, do not throw them in the trash. We can redo a nice and useful things. You will be surprised how many ideas is to rework old sweaters for cheaply. We have collected 17 cool things you can create with your old sweaters! From clothing to accessories or home decor! All of these ideas make a great handmade gift too! I hope that you will find the project that you will want to try! 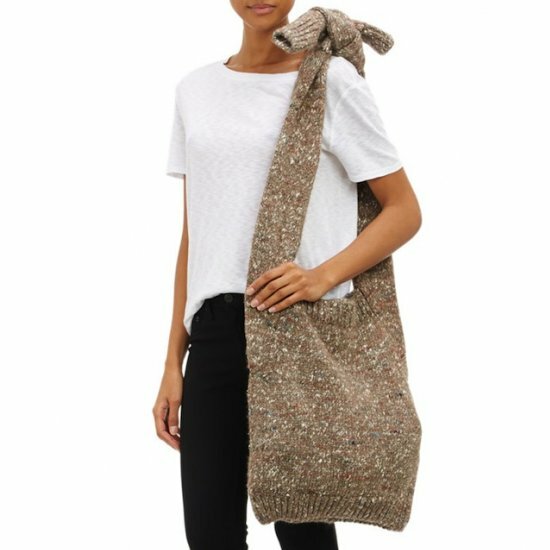 Turn your old sweater into this boho trendy sweater bag. The Stella McCartney version currently is selling for $600! Great idea for old sweaters, thanks for sharing. For new sweaters for women, visit White + Warren. Thanks.